#Office365Challenge Do you have a PowerPoint with some great images, text, animations and transitions. Why not save it as a video file that plays by itself? This is a great idea for family gatherings, celebrations, advertisements, conferences, exhibitor stalls etc. The list goes on. First of course, you’ll have to create the PowerPoint file. Add all the text, images, animations and transitions. Remember to set the transitions between slides as well – this will allow the slide to proceed to the next slide on its own. Here are some help around Transitions & Animations in PowerPoint. 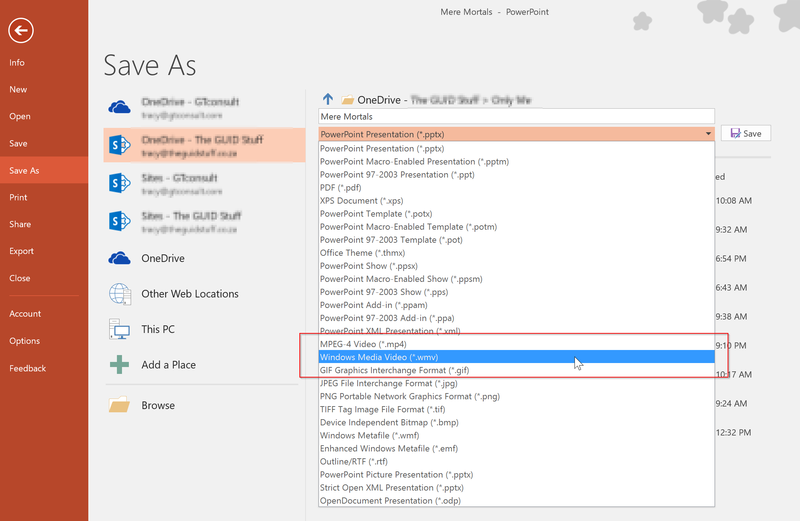 Remember to save the file as a PowerPoint file (pptx) first in case you need to make some changes afterwards. Remember you can add some sounds / music as well. 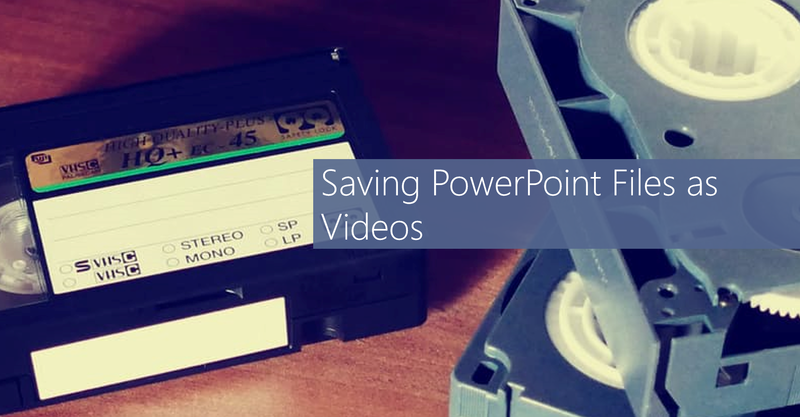 Now you can save your PowerPoint as a video file. Click on File > Save As. It takes a couple of seconds to create (depending on the length of your PowerPoint). As you can see they become rather large files – so take note of this when designing your ‘video’.